NEW YORK (CNS) — A real-life precautionary measure provides both the premise and the title for the engaging drama series “Designated Survivor.” The show, which airs on ABC Wednesdays, 10-11 p.m. EST, premiered Sept. 21. 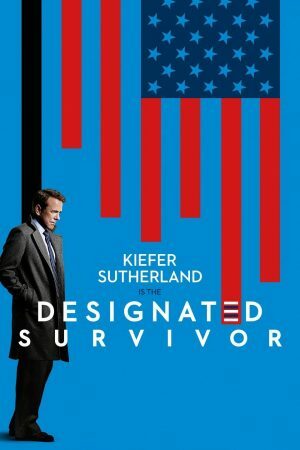 After a terrorist bomb hits the Capitol on the night of the State of the Union speech, killing the president and almost all of Congress, Housing and Urban Development Secretary Tom Kirkman (Kiefer Sutherland) is elevated to the nation’s top office. This turns out to be ironic in at least two respects. More significantly, Kirkman’s sudden ascendancy comes on the very day his predecessor had informed him that he would be let go from his job. Humble and sincere, Kirkman had wanted to improve the quality of life of the people he served, and had refused to play the Washington game. The program’s main theme is Kirkman’s evolution as chief executive. Initially, he flounders, unable, for example, to control his national security advisers in the wake of the disastrous attack. This prompts Seth Wright (Kal Penn), a junior speechwriter for the previous administration, to observe — in a remark Kirkman accidentally overhears — “Kirkman’s a follower, not a leader.” Perhaps best known for playing Lawrence Kutner on “House,” Penn took a hiatus from acting to work for the Obama administration. In addition to his role on screen, he also serves as a consultant to the show. Even as his leadership skills improve, Kirkman continues to face serious challenges to his legitimacy. His primary antagonists, early on, are trigger-happy Army Gen. Harris Cochrane (Kevin McNally) and Michigan Gov. James Royce (Michael Gaston), an extreme states-rights advocate. Cochrane openly condemns his commander-in-chief and secretly threatens to remove him from office. Royce — who refused to deploy his state’s National Guard units to Dearborn, Michigan, to stop assaults on Muslims in the wake of the bombing — becomes even more defiant when Kirkman reveals in a nationally televised interview that he was dismissed as HUD secretary. Kirkman also has to contend with icily duplicitous Congresswoman Kimble Hookstraten (Virginia Madsen). Chosen as the legislature’s equivalent to Kirkman, Hookstraten has effectively become Speaker of the House as a result of the catastrophe. Amid all the political jockeying, “Designated Survivor” also provides viewers with a whodunit. Many blame an al-Qaida offshoot group called al-Sakar for the onslaught on Capitol Hill. But enigmatic, determined FBI agent Hannah Wells (Maggie Q) finds it suspicious that Congressman Peter MacLeish (Ashley Zukerman) managed to survive the calamity in a seemingly miraculous way. Hannah’s hunt adds flavor and intrigue to the show, and Q is mesmerizing in the role. Comparisons between Kirkman and Jack Bauer, Sutherland’s memorable persona on “24,” are perhaps inevitable. While Bauer’s methods made enhanced interrogation look like child’s play, Kirkman uses force reluctantly. Bauer was also a loner. Kirkman, by contrast, is an affectionate family man. He’s playful with his accomplished, beautiful wife, Alex (Natascha McElhone), and revels in making breakfast for his kids: teen son Leo (Tanner Buchanan) and young daughter Penny (Mckenna Grace). There’s some mildly vulgar dialogue, and violence obviously features in the action, although its presentation is never lurid. The plot also includes mature story lines: Leo deals drugs; it’s implied that Kirkman may not, in fact, be Leo’s father; and Hannah mourns a dead senator with whom she had an affair. Despite such problematic elements, adult viewers will likely appreciate “Designated Survivor” for its stellar cast and continuously mounting suspense.